All aboard! Tour the Neighborhood of Make-Believe in this board book shaped just like Trolley, with wheels that really move! It’s a beautiful day in the Neighborhood, and a beautiful day for taking a trolley ride. There are so many friends to meet in the Neighborhood of Make-Believe! 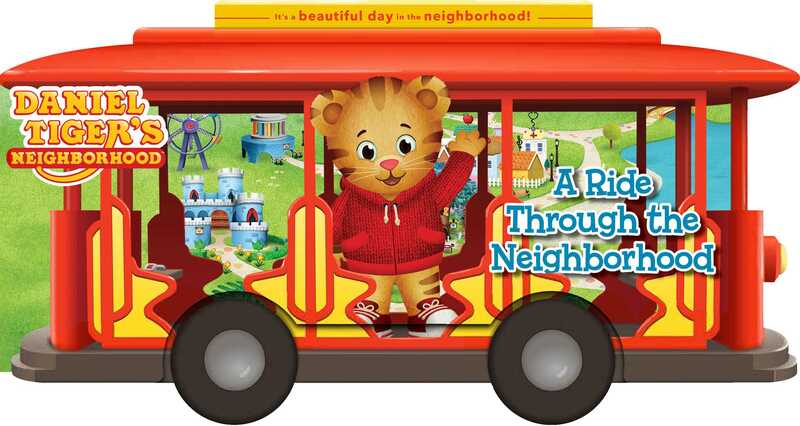 Ride along with Daniel Tiger and explore this interactive board book with wheels that really move!